Britain is heading for a white out, which can only mean one thing…more chaos on the roads! 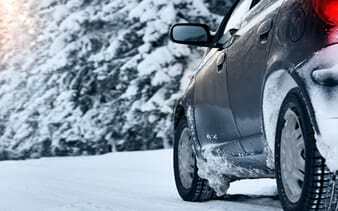 Driving in icy conditions and snow can be stressful and scary, that’s why we are sharing our tips and advice for driving in these winter freezes to help ease the pressure to all our customers when waking up to a blanket of snow. Always make sure you have a charged mobile phone with you on any journey that has your breakdown providers contact number stored. Make sure you check the weather forecast before any journey you make, this way you are able to see whether you need to give extra time for your journey as well as plan out your route. Take into account you may need to prepare your car before setting off on your journey. If you can cover your windscreen with a sheet to protect it from ice, this will save you time when you have to de-ice your car before your journey. Clear your car of any snow, especially on your cars windows, mirrors, lights and the roof. You could be arrested if you drive with snow on your car. Also demist the windows as it is illegal to drive with poor visibility. Make sure your screen wipers work to clear the screen of falling snow. Check your tyre tread to ensure a stronger grip on the road. If the conditions are bad or you know an area which you may consider snow chains or snow socks. Make sure to wash your car if you have been driving on gritted roads. With bad weather you can be easily tempted to save a trip to the car wash until the spring but over time salt can cause corrosion to your car so keep on top of your car cleaning schedule. Wear sensible and dry footwear to avoid slipping on the foot pads whilst driving. If salt has not been put down on the road, be wary when driving on vehicle tracks as compressed snow can be very slippy. Reduce your speed and take time when braking or steering. Use small revs and accelerate gently. Change into a high gear as fast as possible. Avoid wheel slip by setting off in second gear; if your car is fitted with winter mode change to this function. Leave at least 10 times as much the normal recommended stopping gap. Use a low gear for going downhill and try to avoid breaking unless necessary to avoid skidding on the road and when driving uphill make sure to leave more room in front so you are able to maintain a constant speed without changing gear. When approaching a turn in the road, brake before you start turning the wheel. If you lose control, take your foot off the accelerator and put the wheels in the direction you want to go. If your car skids, steer in the opposite direction. Do not slam on the brakes or let go of the steering wheel. Use dipped headlights when driving in snow. Follow our tips to make sure you drive safe during this winter months! If you require motor insurance for your vehicle then get in touch with Insure 24-7 today. We can offer you a low costing insurance policy tailored to your needs.